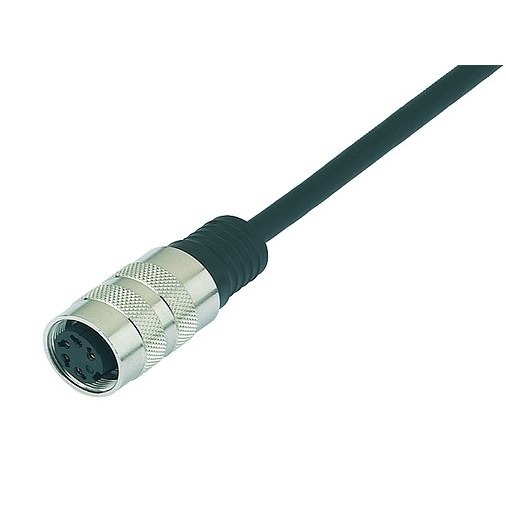 2 meter Stepper Cable for TCT-2/EOT-3/TCM-4 | DamenCNC B.V.
Overmoulded Shielded Stepper Cable, especialy made for the ECOCAM tangential knife modules. 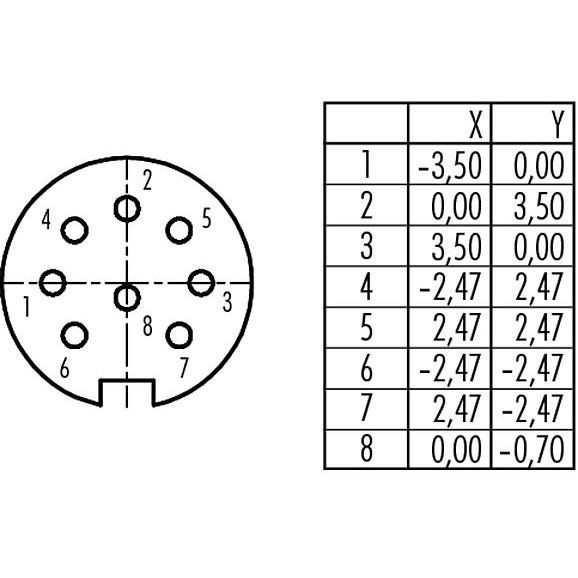 It fits all the new models with the M16 connectors. 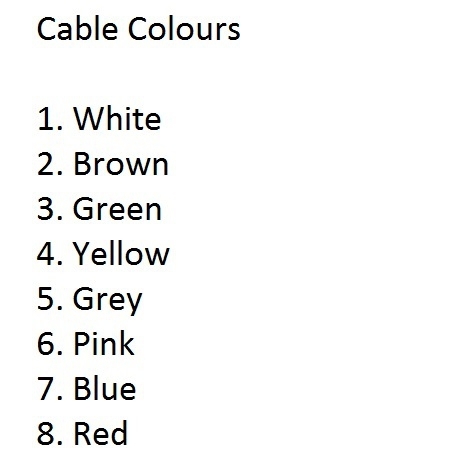 This cable is for the steppermotor, 8 PIN Din. 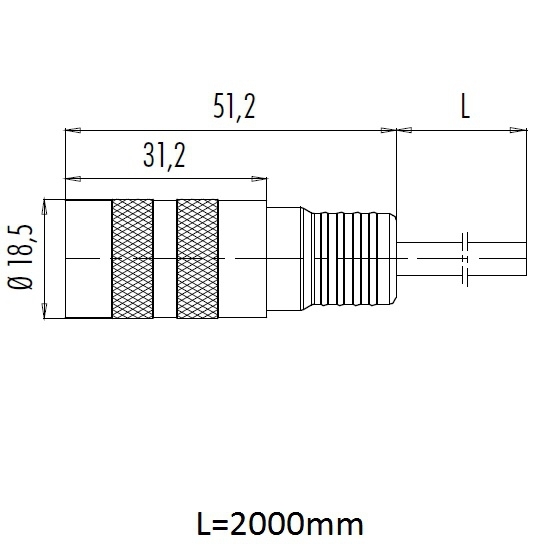 We also have a cable for the 7Pin connector (sensor, and 24VDC etc). 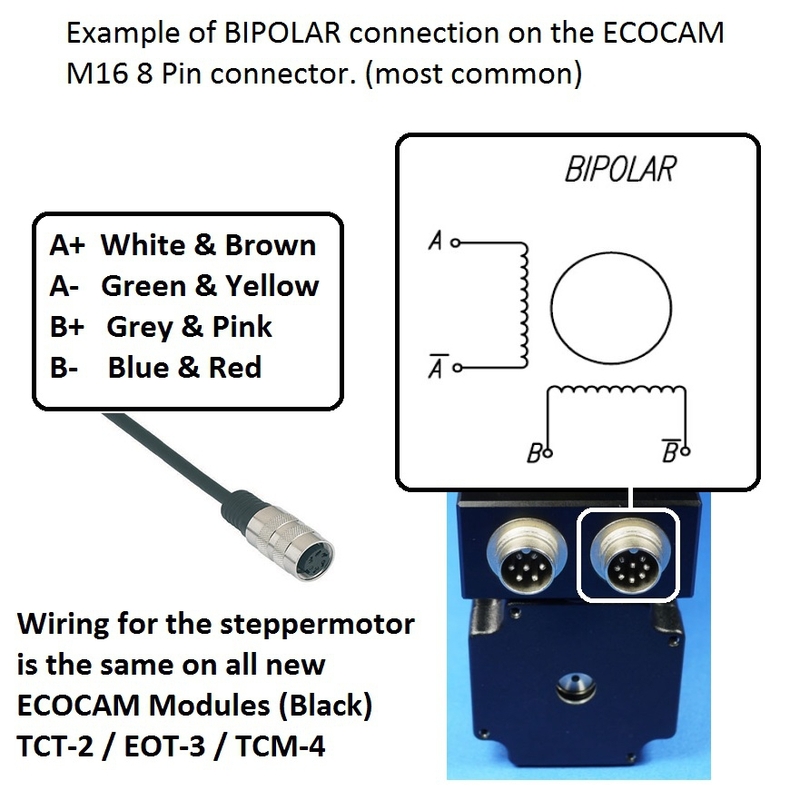 In the images, we show how to connect the steppermotor/wiring to a bipolar stepper driver.